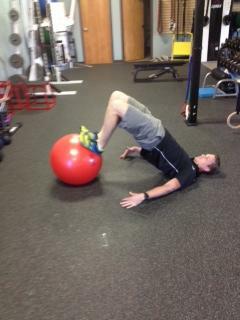 Ball Hamstring Curl- Like the rollout variations, start with the biggest wheel and work to a smaller one. 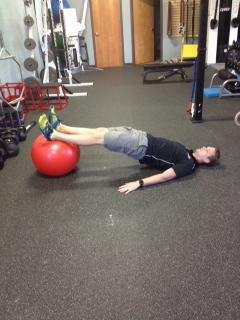 Keep your glutes engaged and abdominals braced and curl the ball underneath and gradually lift your hips to a fully extended position. 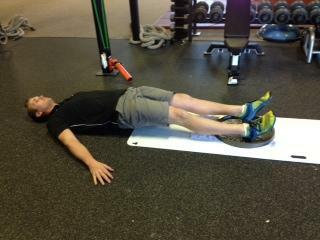 Slider Hamstring Curl- Same as above, except with sliders. 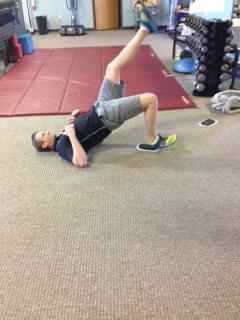 Keep your glutes engaged and abdominals braced and curl the sliders underneath and gradually lift your hips to a fully extended position. 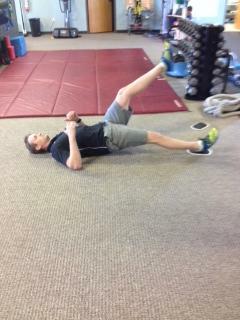 Single Leg Hamstring Curl- Now with one leg, same as before except really focus on keeping the hips in a flat stable position (try to put a stick on your hips and remain level throughout the movement) Progress to these, and do fewer reps! 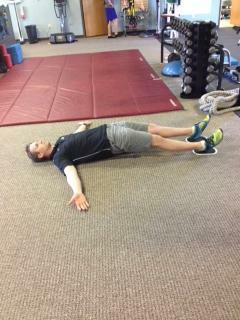 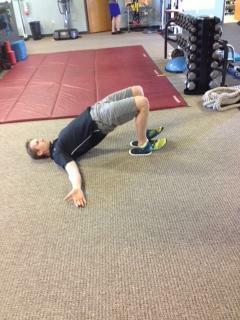 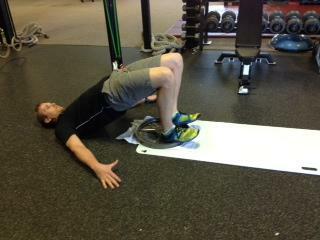 Hamstring Curl with added resistance- Put an Olympic plate down on the sliders or on a slideboard as shown below.